Permits to buy handguns in North Carolina must be obtained from the sheriff in the county that you reside. 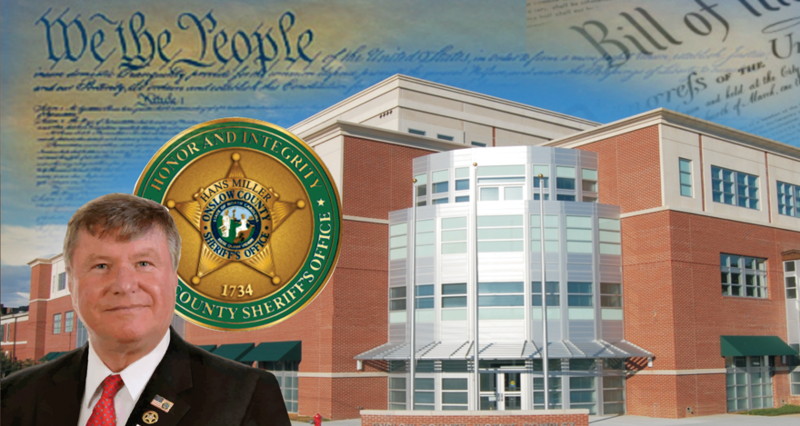 In Onslow County it is the Sheriff's Office. The Cost is $5.00. Upon successful completion of your application you will need to provide to OCSO proof of more than 30 days onslow county residency in the form of a North Carolina Operators License, ID Card, Voter Precinct Card, vehicle registration, title or vehicle insurance policy. Additionally, you may provide a utility/cable bill, housing lease or contract, mortgage statement, property or income tax statement, school records, or letter from the homeless shelter. Finally, military members may provide copy of PCS orders or command letter confirming address and 30 day residency. Instructions on how to do this are in the application confirmation email. Please note that the current processing time is 14 days from the date that you successfully submit your online application. Upon successful completion of your application you will need to provide to OCSO proof of more than 30 days onslow county residency in the form of a North Carolina Operators License, ID Card, Voter Precinct Card, vehicle registration, title or vehicle insurance policy. Additionally, you may provide a utility/cable bill, housing lease or contract, mortgage statement, property or income tax statement, school records, or letter from the homeless shelter. Finally, military members may provide copy of PCS orders or command letter confirming address and 30 day residency. Please note that as part of the application process, you will authorize the Onslow County Clerk of Superior Court to inform the Sheriff of Onslow County whether or not the clerks’ records contain the record of any involuntary mental commitment proceeding under Article 5 of Chapter 122C of the General Statutes in which you have been named as a respondent. The purpose of this release is to enable the Sheriff to determine your qualification and competence to purchase and handle a handgun. The Onslow County Sheriff’s office offers this online service as a convenience to the community. In addition to the per permit fee of $5, the system will charge a per transaction fee of $3.00 for the convenience of applying and paying for your permits online. The convenience fee is not collected by the Sheriff. This fee is paid to the company that provides this order, payment and processing system to the public. You do have the option of applying and paying via cash in person at the Sheriff’s office. By doing so, you will not be charged the convenience fee.